Here you will find medical experts in clinics and medical practices in the medical field Neurology. 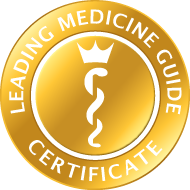 All listed physicians are specialists in their field and have been carefully selected for you according to strict guidelines. Which illnesses do neurology specialists treat? What treatment methods are used by neurology specialists? What additional qualifications are required by neurology specialists? In a search for specialists in neurology you will find medical experts for the diagnosis and treatment of neurological diseases. You suffer from chronic headaches, insomnia, convulsive seizures, Parkinson's disease, epilepsy, stroke, multiple sclerosis or dementia and are seeking an experienced neurologist? Here you will find selected specialists in neurology. 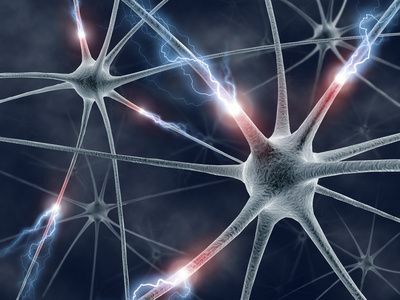 A neurology specialist deals with disorders of the nervous system, and thus neurology has strong links with the field of neuroscience (the scientific study of the nervous system). The body’s nervous system primarily consists of the brain, the spinal cord and the nerves. This in turn means there is a major overlap between the fields of neurology and psychiatry, with many physicians noting the fact that the 'brain' and 'mind' are two terms describing the same organ. Several countries openly acknowledge this dual medical provision, with Germany, for example, requiring a compulsory year of psychiatry to be completed as part of a neurologist’s training. Hypertension (high blood pressure), which is a cardiac problem, but if the illness results in a stroke (a sudden interruption of the brain’s blood supply), this becomes a neurological problem as well. Meningitis and other infectious diseases that can result in brain damage and lead to further complications (e.g. epilepsy). Peripheral nerve diseases, which can cause weakness or sensory impairment. Patients often have to be followed up, sometimes to clarify the diagnosis, or perhaps to manage longer-term problems – as in the case of illnesses such as multiple sclerosis and Parkinson’s disease. Over 5,000 neurological diseases have been identified, and the evolving diagnostic process continues to become ever more sophisticated, with improved imaging techniques and developments such as genetic testing. Any diagnosis and treatment offered by a neurology specialist is likely to begin with a physical examination. There will also be a neurological examination to test functions such as muscle strength, reflexes and coordination. Because a number of disorders can have very similar symptoms, your neurology specialist may need to conduct some further tests before making a diagnosis. lumbar puncture, a procedure used by neurologists to check the spinal fluid. This is often recommended if it is suspected that the symptoms of an illness are caused by a problem within the nervous system, which may be identified via an analysis of the spinal fluid. During a lumbar puncture, the spine is numbed so that a needle can be inserted to remove a sample of spinal fluid for further investigation. a tensilon test, which is a procedure used to diagnose myasthenia gravis (a muscle-weakening disease of the autoimmune system). During this test, your neurology specialist will inject a medicine called tensilon in order to observe how your muscles are affected and thus check whether the disease is present. an EEG (electroencephalogram) procedure attaches electrodes to your scalp in order to detect, measure and record the electrical activity within your brain. 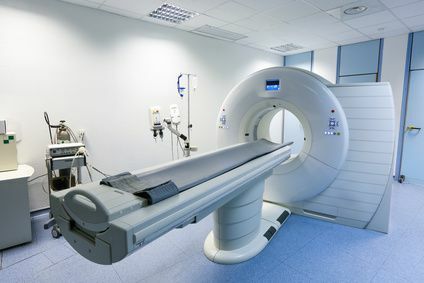 A neurologist may also request imaging scans, or perhaps an angiography test to check for any blockages in the blood vessels supplying the brain. These tests may often be carried out by other specialists. The therapeutic range of services of neurology comprises, for the most part, the treatment and diagnosis of diseases of the brain (meningitis, encephalitis, multiple sclerosis, Creutzfeldt-Jakob disease, brain haemorrhage, stroke, brain tumours, dementia, Parkinson’s syndrome, Huntington’s chorea, dystony, epilepsy), diseases of the spinal cord (whiplash injury, paraplegia syndrome, poliomyelitis, Herpes zoster, spinal cord tumours, spinal damage, torticollis), diseases of the peripheral nerves (Guillain-Barre syndrome, polyneuropathy, neurofibromatosis) and myopathies (myasthenia gravis). Treatments with botulin toxin for dystony, spasticity, excessive perspiration and the Stroke Unit (special department for stroke patients) are among the range of services of the neurologist. Neurologists first train as physicians, then complete one year of internal medicine training, plus a further three years training in neurology. Neurology specialists then have the option of a fellowship, which involves up to two years training focused on one subspecialty of neurology.